Published: January 26, 2019 17:21 Samar Khouri, Special to tabloid! 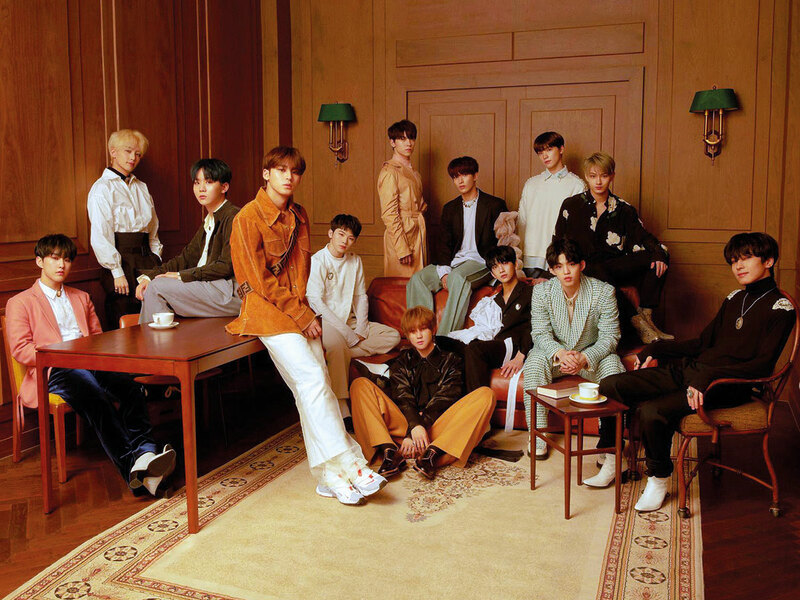 Seventeen’s return with brand new music may have been one of the most anticipated comebacks last week. The 13-member boy band were ready to start their 2019 by showcasing a warmer, more masculine side in their new sixth EP, ‘You Made My Dawn’, led by track ‘Home’. “For this album, we wanted to write about love, growth and, most importantly, consolation that everyone could relate to,” the group’s main songwriter Woozi said during their press showcase in Seoul, The Korea Times reports. Fans have connected with the song’s meaning, giving the track an incredible start on the charts for Pledis Entertainment’s boys. It wasn’t long before it raced up high on the Korean music charts and the iTunes charts worldwide, including taking the second spot on the local albums chart as soon as it was dropped. The six-track release was accompanied by a sentimental music video for ‘Home’ that shows the act’s flair for their easygoing yet dynamic choreography and their individual charms. Best described as “self-producing idols,” the group made their debut in May 2015 with three sub-units each focused on hip-hop, vocals and performance. Seventeen is known for actively producing, writing and choreographing their own musical material and exploring different genres. The group also took home the Hot Performance of the Year and World Hallyu Star awards at the 8th Gaon Chart Music Awards over the weekend, in recognition of their success last year.